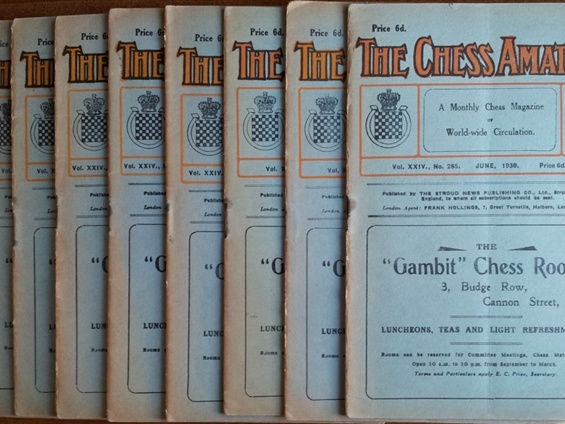 The Chess Amateur ran for 24 volumes from October 1906 to June 1930, each volume running from October until the following September except the final volume 24 which ceased after 9 issues. This important and successful periodical was published by Harry Harmer in Stroud until September 1913 and then by Stroud News Publishing Co. Surprisingly no main editor is named (possibly Harry Harmer himself in the early years) but there were many section editors and contributors notably Carslake Winter-Wood, Rhoda A Bowles, Philip H Williams who conducted the problem pages for many years, Alain C White, T R Dawson (a major contributor), Rev. E E Cunnington, W Moffatt, I Gunsberg and W A Fairhurst. I have volumes 1 to 6, 8 to 9 and 15 to 24. 1906/07 to 1911/12, 1913/14 to 1914/15, and 1920/21 to 1929/30. 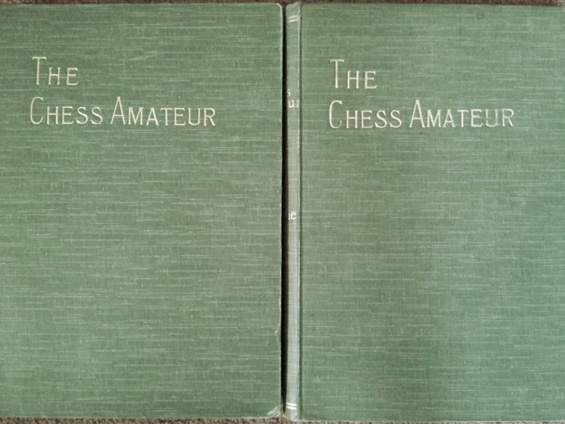 Due to the uniformity of the bindings I would prefer to sell these as a set, failing this I will sell the volumes individually. Please see below for condition report. All volumes are in good or very good condition, with just a few blemishes. The quality of paper used varied considerably throughout this series. 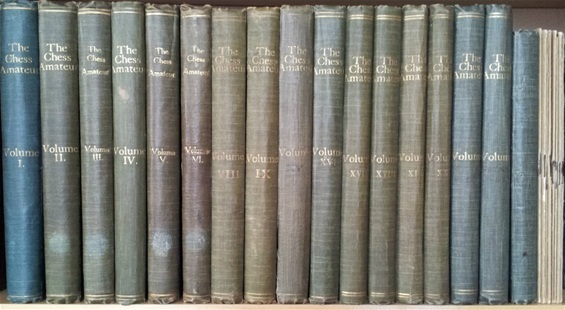 All volumes have title page and index except for volumes 6, 9 and 24. 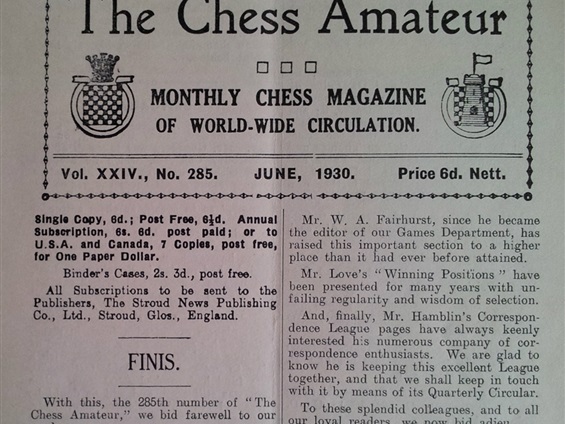 Volumes 8 and 9 include the monthly supplements which were issued to subscribers and volume 23 has a loose insert from the British Chess Federation on Correspondence Play Rules. 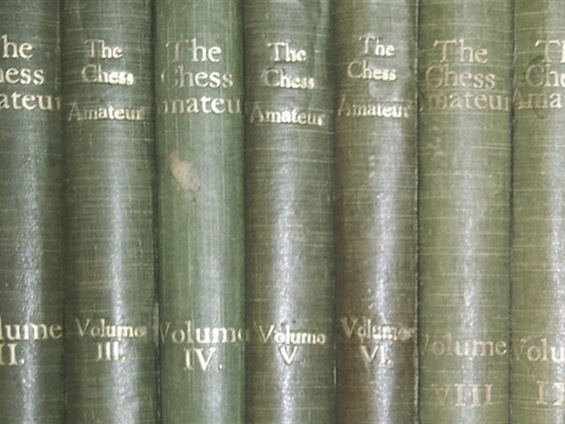 Volumes 2 to 6 are from the Hastings Chess Club library and vols. 4 and 6 have the library label pasted to the front cover. 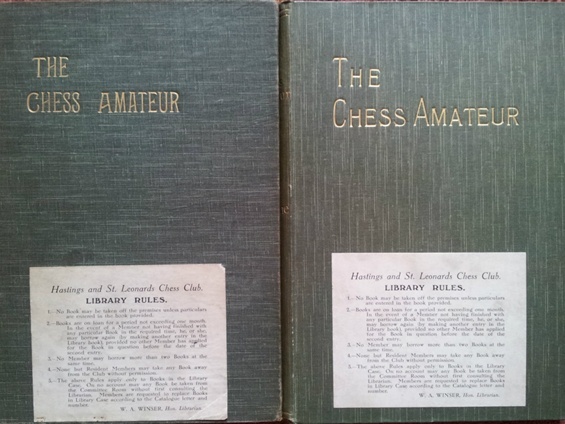 Volumes 21 and 22 include the issues for the calender years 1927 and 1928 respectively but all other volumes include October to September (except the final volume which ceased in June 1930). There are therefore three issues missing from October to December 1926.